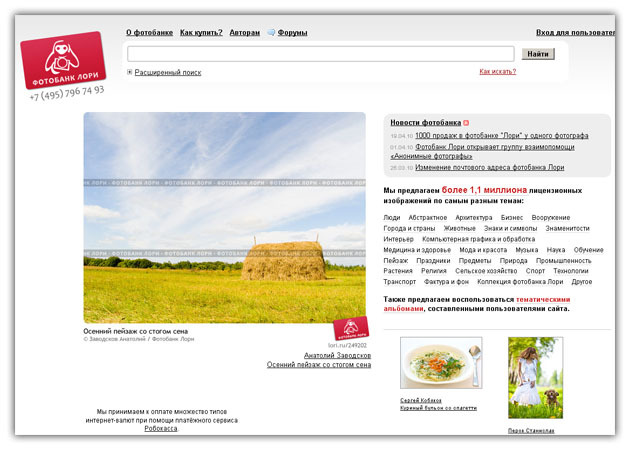 In this section we will help you to study to draw and to sell your works by photo banks. 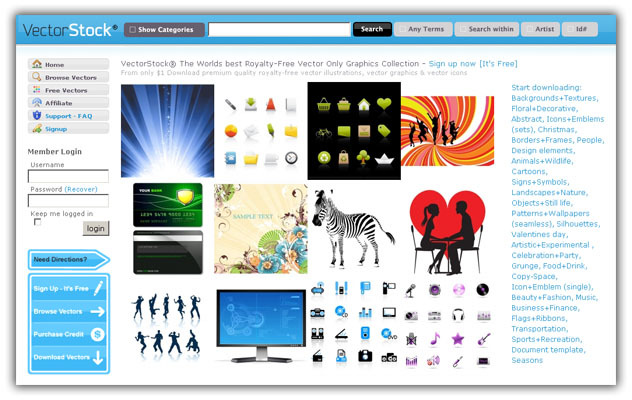 You can sell video clips, photographs, vector illustrations,3D illustrations and raster images. To survey all points will be difficult, that is why now we will just talk about 3D illustrations. Some believe that this way of earning extremely beneficial. At the root of this does not agree. Sam checked, tested friends, showed receipts for a tidy sum, but still managed to convince no one. So take my word, I earn with photobanks possible, the amount depends on you. The fact that each of your work is sold for a few dollars (which is very beneficial to buyers), you will receive a total of several tens of percent (the rest goes to photobank as a seller). Sometimes the purchase of a few tens of dollars. Not so much, you say. So, the beauty is that each illustration, photography, etc. can be sold to an infinite number of times. It is important for this is that photobanks give you the opportunity to diversify their photographs and illustrations as you want. For example, one of the images could be used to demonstrate the attractiveness of a tourist destination, while the other could be used to advertise gambling sites. Thus, the objects for photo illustrations to choose only you, that gives you the freedom to change your style whenever you choose to make. 24-hour photo bank offers the opportunity to buy your work, as he had himself engaged in advertising, and you in turn can do their own thing. 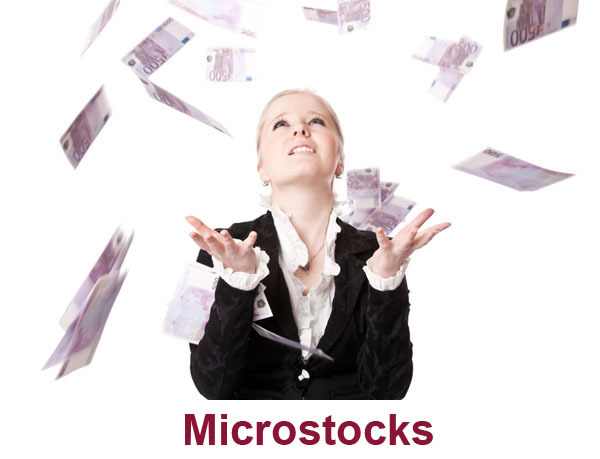 That's why microstocks now popular. Archives of work each day grow and has reached the number in the millions every decent image bank. This young industry, it a few years, but eventually increased the requirements for your illustrations. So you still have time to get your piece of delicious cake dollar. The main advantage of such work, in our opinion, is that to do this is very interesting. Incredibly nice when you can earn money on your hobby, it's nice when your work to buy, it's nice that the work can improve your creativity and most importantly - no need to adjust or under whom. Your boss - you yourself, your salary depends on you. If you want to learn how to earn money with the help of photo banks, then you should read our articles that will help you do it. For convenience, we have them spread out across categories. Just want to note that the article will be gradually supplemented and updated to maintain its relevance. If you are here for the first time, we suggest you start with "Introduction" section where you will find most answers to your questions. But if you have not found the right answer, please email us and we will soon add it. Shutterstock.com - One of the best photo sites to date. As fast as possible gives a result which is very useful for beginners. The focus is on new works, with a high level of sales. There is an exam, you must work 10. It does not matter whether it's photos, or vectors. Upon successful completion it will be possible to sell both. It is also possible to sell the video. Registration is required for the passport or the passport of international standard. shutterstock completely non-exclusive photo bank, which means that it does not give advantages to those who sell their work only with him. Sales are made on the types of licenses 2m sRF (standard RoyaltiFri) and extRF (extended RoyaltiFri). For sale takes photos, drawings, 3D, vector, video. For photos of the minimum resolution of 4 MP (megapixels). Restrictions on the size of images do not. Supports loading of work through FTP. Payments also depend on how much you earned in the amount of all-time with claimes. For buyers also have a backup service for previously purchased images on disk (Backup CD). The author in this case goes to $ 0.05 per image. Payments are made once a month when the minimum amount that is $ 75 for electronic purses moneybookers and PayPal, as well as $ 300 for the withdrawal by check. Other ways to withdraw funds is not provided. A good bank, which usually is the second and fourth place in sales among mikrostokerov. Quite demanding subjects shots. There is no exam or test at registration. A passport is also not required. Of the features can be noted that you can sell (in addition to standard JPEG) RAW files, and vector formats: EPS, CDR, AI all versions. Exclusivity can be both for all portfolios, and in some shots. Shipping can also be 3D and bitmap images. Sells for sRF, extRF, exclusive licenses. From the image requires 3 MP. Sells both individually and by subscription. It is possible to work through FTP downloads. The authors donates 50 percent of sales. Withdrawal of funds from the $ 100, available on request. Machine does not display. You can withdraw money on PayPal, MoneyBookers or by check. Also, the authors of the payment depends on your exclusive, the size of the purchased images (vectors are like a picture with a maximum size) and rank (level) of photos. 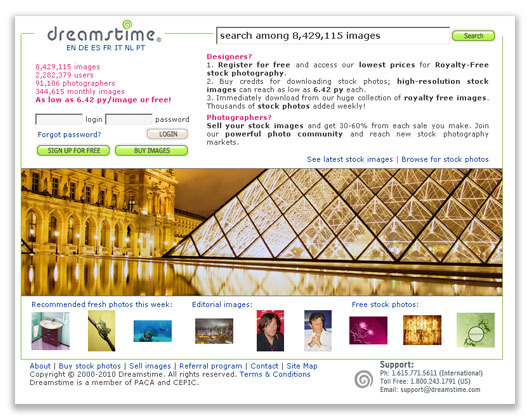 On Dreamstime.com each image a rank. Rank rises directly from the sales. What is more likely to buy the picture, the more royalties to the author. It is therefore better to ship only the best pictures from the series, so they do not compete with each other and get the rank faster. A pretty good bank. Sells both individually and by subscription. Exam at the same time does not matter. The peak sales are at a set of large portfolios. Does not sell right away, but then it pays off. There is no filter on what's new, so buyers must first find a picture and it does not matter when it was loaded. For sale shall: photos, raster and vector illustrations. Photos and bitmaps - Format Jpeg, not less than 4 megapkseley on quality and not more than 30 MB in size. Vectors - ZIP archive, which must lie in a vector format EPS-8 or EPS-10 and no larger than 2 MB, as well as the preview format Jpeg, at least 4 megapixels in quality. There is an interesting system of ranks, whiling away the gradually increasing your payments. Minimum Payout: 30% of the costs the buyer (in the case of pieces of purchase) and $ 0.30 when you buy your images by subscription. Rank increases depending on your total sales. Payments also depend on the size you bought, and illustrations, and license type. The original size of image format Jpeg (which you download) will be the maximum size available for sale, the remaining, smaller, are automatically generated. Vectors are sold immediately preview of all sizes, the vector in EPS format for sale at maximum price. Istock.com - first microstock world. Opened in North America and almost immediately became an ideal model for all future stock banks. 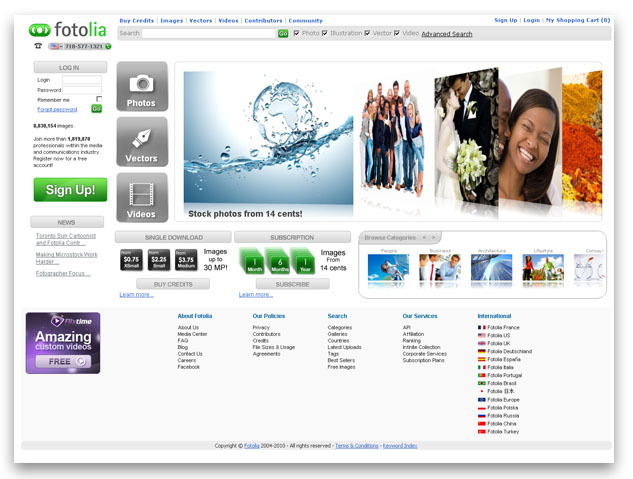 They have developed a Royalty Free license and the entire legal framework for microstock. At the moment, is one of the largest and most profitable in the world of photo banks, but the most demanding and complex work. Here is a test, asked to upload three pictures, and for photos and illustrations are separate exams. In addition, before the exam you need to pass a theoretical test. Work on the exam must be versatile, suitable topics Microstock, be of high quality in terms of technique and pattern, and if this picture, in addition to the lack of technical errors should be observed an interesting subject and theme song. In fact, to pass the exam give you a lot of effort and time for completion of their shortcomings. Then the inspectors describe in some detail the problem. Also need to scan a document proving your identity. This can be a passport or driver's license. Allowed to sell photographs of at least 1600 x 1200. Vector format in EPS-8 and a preview to his size not less than 2800 x 1900. 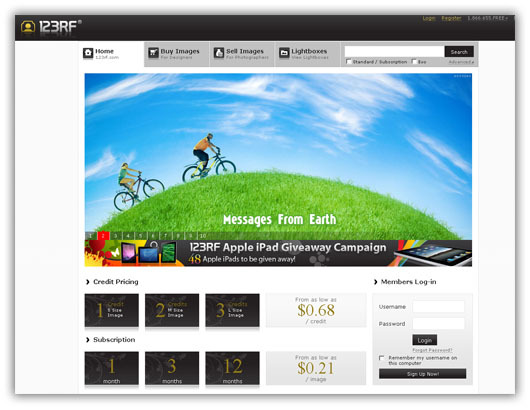 You can also sell the raster images, flash and video. Withdraw at the request of $ 100 through MoneyBookers, PayPal or by check. 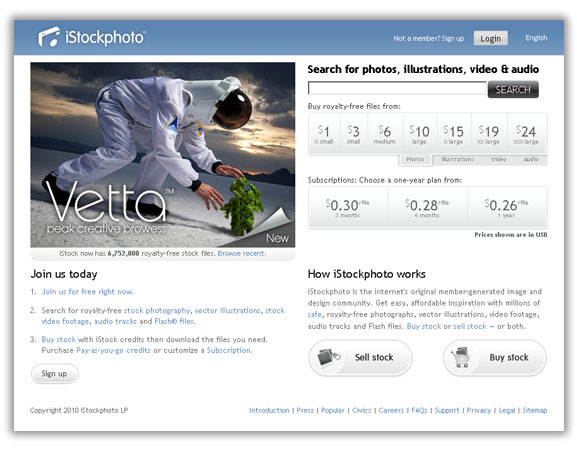 Microstock sells both individually and by subscription. The author will be deducted 20 per cent of sales. Eksklyuzivschikam to 40% and add different goodies to advertise their portfolios, many strong mikrostokery to go to the exclusive Istock.com. 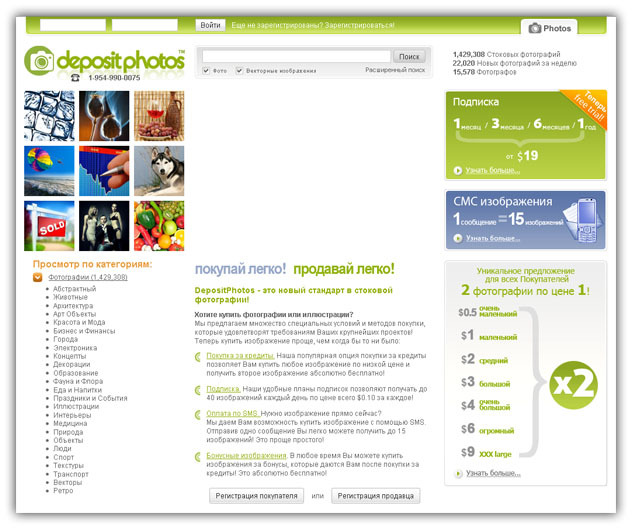 Photobank Gives good sales, even with a small portfolio. Enables to load up to 15 images per week (for neekslyuzivschikov) and requires attributing each keyword on semantic value. FTP download is not. Selling microstock only vectors in eps-format 8. All other formats can be loaded only as an extra, such as ai with shadows, transparencies and effects. Sells quite well. Sales for the loans. The cost of checking your pictures exhibited, depending on the complexity of your work. All vectors are estimated at 1, 3, 5 or 10 credits. 1 credit is equal to one U.S. dollar. Evaluate inspection, however, is not always objective and some of the strengths of the price received in a loan, but they are much more frequent sales. But personally, we all more or less honest. There is a simple test in one operation and does not require a passport for registration. The author receives royalties based on rank. Beginners (0-499 downloaded pictures) receive 25% of the price. Money derived from the bank upon request from $ 100 to MoneyBookers or PayPal. Of the features: forgive boot image size JPG 380 pixels wide and 400 high (380 x 400), if you have at this resolution is an empty space, just fill it with color. And EPS-8 in the ZIP (namely ZIP) archive. Three ways to load a user-friendly interface further attribution. Ability to use data from previous of your work. The percentage of royalties authors - from 44 to 60%, increases depending on your level and exclusivity. Detailed statistics for sales and display images. bonuses (given after the purchase of images). Opportunity to increase your rank, and with it the payment. 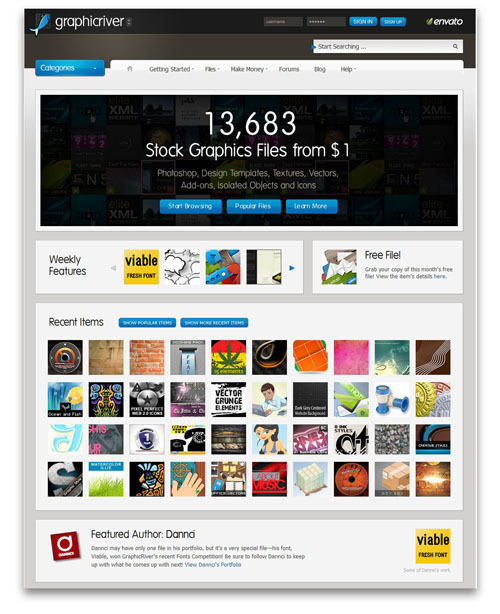 Microstock network envato, which only recently began selling illustrations, and sells network of audio, video, vectors, scripts, 3D modelki, templates, and more. Registration for the entire network communicate. Sells for dollars apiece. Fill up the balance for purchases you can use PayPal, credit crats or MoneyBookers. Over time you can put on the account from 20 to 100 dollars. Prices for microstock image sets himself the order of 3-8 dollars . Sells stock on Regular license (Royalty Free), Extended license (Extended Royalty Free) and non-standard Personal license, on which you can use the personal purchase only for his own pleasure. For example, if an audio recording for listening at home or in the car. Graphicriver markets: graphics, templates for designers, textures, vectors. addons, isolated objects, icons, templates, presentations, fonts. Acceptable formats - Jpeg, Jpg, eps (any version), Ai, Psd, Png and other types of files that can be added as an extra. You can withdraw money via MoneyBookers from 50$ ,through Envato Prepaid MasterCard from $ 50, or to the bank account of $ 500. It is important to remember that if you want to get paid this month, you have to order the payment to the 15th number, even if you have not accumulated the required amount. If you have time to accumulate - payment. Otherwise you'll have to wait for the next month . 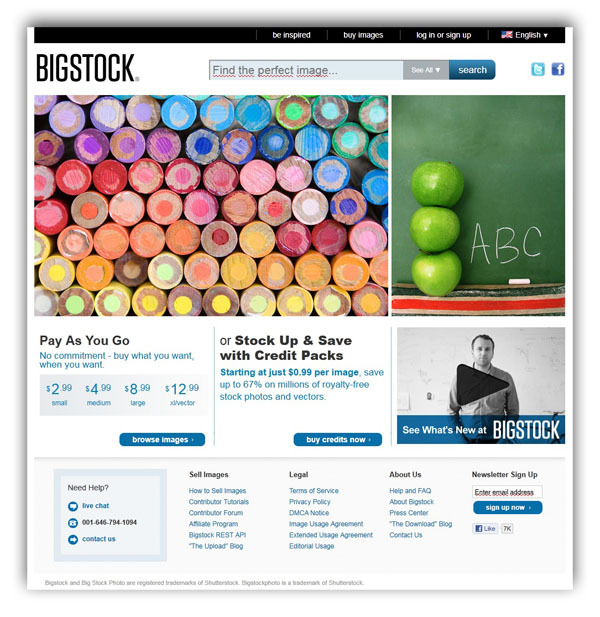 BigStockPhoto - not very large photo bank, but rather easy to use. Actively growing, constantly increasing sales. Not so long ago bought all the known Shutterstock.com. Entrance exam is not only a theoretical test. Documents for registration is not required. Microstock category he selects the downloaded files. Limitations on the number of uploaded images in the queue depends on the percentage of acceptance of work the photographer. Cost of sales does not depend on image resolution. Types of works sold - raster (photo 3 d, illustrations) and vector (accessible format of AI, in addition to eps). For sale only files one by one. Load operation is possible through the web site (HTTP) or FTP. Terms of payment - from $ 50 at the request of.